Conductor John Keenan has conducted opera and orchestral concerts throughout the United States, Canada, Europe, Asia, Russia, and New Zealand. Having had a long association with the Metropolitan Opera, he has conducted a wide range of repertoire there, including, Wagner’s Die Meistersinger von Nürnberg with James Morris and Johan Botha, Wagner’s Das Rheingold with James Morris and Rene Papé, a new production of Offenbach’s Les Contes d’Hoffmann with Joseph Calleja and Anna Netrebko, and Verdi’s Simon Boccanegra with Dmirtri Hvorostovsky, and Verdi’s Un Ballo in Maschera with Piotr Beczala. He made his Metropolitan Opera debut conducting Mozart’s Don Giovanni at the age of 26, with a cast that included Thomas Hampson, and Karita Mattila, and was immediately re-engaged to conduct Mozart’s Le Nozze di Figaro with Kiri Te Kanawa, Frederica von Stade, Thomas Hampson, and Ferrucio Furlanetto, and Mozart’s Die Zauberflöte with Rene Papé. A frequent guest conductor at the famed Kirov Opera (Mariinsky Theater) in St Petersburg, Russia, he made an acclaimed debut there conducting Verdi’s Aida, and returned there to conduct Wagner’s Der fliegende Holländer, and most recently, Verdi’s Otello with Vladimir Galouzine and Sergei Leiferkus. He has also conducted Dvorak's Rusalka with the Canadian Opera Company and Opera de Montreal, Wagner’s Die Meistersinger von Nürnberg and Puccini’s La Bohème with the Cincinnati Opera, Donizetti's L'elisir d'amore with the Washington and Los Angeles Operas Strauss’ Der Rosenkavalier with the New Zealand Symphony, Puccini's La Bohème with the Santa Fe Opera, Verdi's Falstaff at the Spoleto Festival USA, Wagner’s Der fliegende Holländer with the Vancouver and Edmonton Operas, Bizet's Carmen and Mozart’s Così fan tutte with the Vancouver Opera, Mozart’s Don Giovanni and Così fan tutte for the Wolf Trap Festival, and Massenet’s Thaïs, Tchaikovsky’s Eugene Onegin, with the Louisville Orchestra. At the Minnesota Opera, he has conducted Verdi’s La Traviata, Puccini’s Tosca, Verdi’s Otello, Bellini’s Norma, Verdi’s Rigoletto, and Bizet’s Carmen. He has recently conducted Humperdinck’s Hänsel und Gretel and Verdi’s Il Trovatore with the Lyric Opera of Kansas City, and Der fliegende Holländer at the Glimmerglass Festival and Hawaii Opera Theater. In Europe, he has conducted Renee Fleming in-concert with the Prague Radio Symphony, Mozart's Mitridate with the Grand Théâtre de Genève and L’Orchestre de la Suisse Romande, Mozart's Le nozze di Figaro with the Opéra de Nice, Puccini’s Madama Bufferfly with The National Opera of Norway, and Verdi’s La Forza del Destino and Dvorak’s Rusalka at the International Music Festival in Cesky Krumlov, Czech Republic. 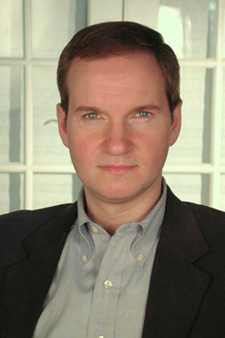 John Keenan has also had the special distinction of having held positions on the conducting staffs of the Bayreuth and Glyndebourne Festivals, the San Francisco and Washington Operas, the post of Chorus Master of the Metropolitan Opera, and a Guest Teacher in the Graduate Conducting Program at the Juilliard School.